Required for normal spindle assembly. Plays a key role in mother-centriole-dependent centriole duplication, through centrosomal recruitment of CEP152. Also recruits CDK1 to centrosomes. 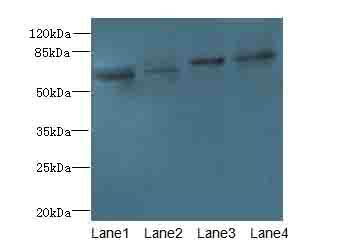 Plays a role in DNA damage response. Following DNA damage, such as double-strand breaks (DSBs), is removed from centrosomes; this leads to the inactivation of spindle assembly and delay in mitotic progression. 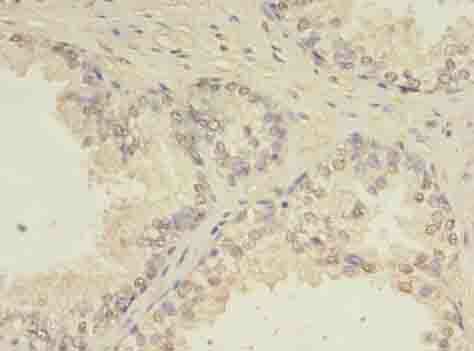 CEP63 Polyclonal Antibody. Unconjugated. Raised in: Rabbit.